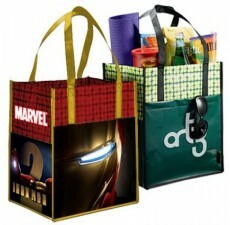 The future of reusable bags lies in our innovative green products. 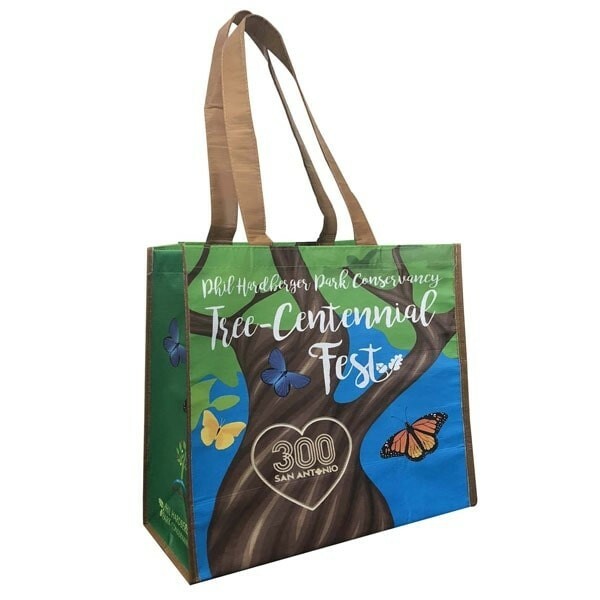 As this Poly Bag is made from 85% recycled content and is convenient to carry, you are saving the planet while also promoting your brand in supermarkets and malls - right where others will see it. 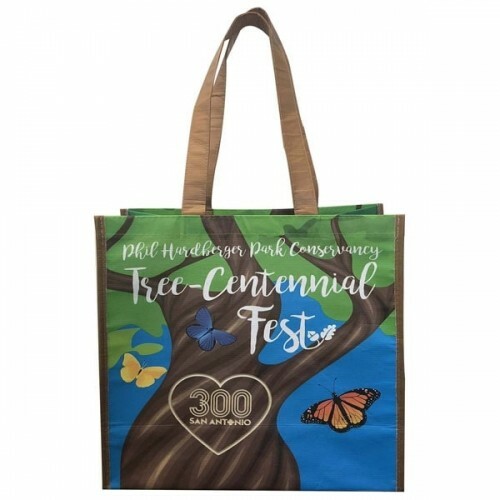 What makes the Large Recycled PET Poly Bags special is the fact they are sophisticated, lightweight and most importantly, your logo is dye-injected so it never wears off. 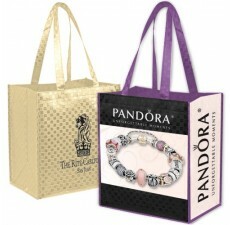 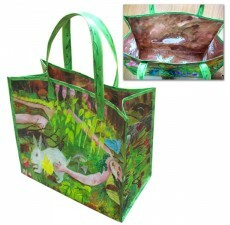 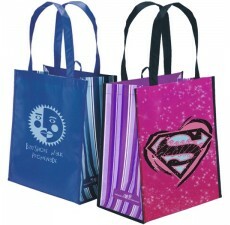 Each bag you own will lower your carbon footprint by preventing several water bottles from polluting the earth. 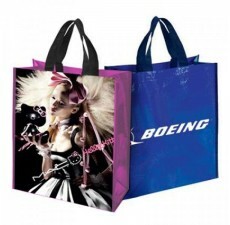 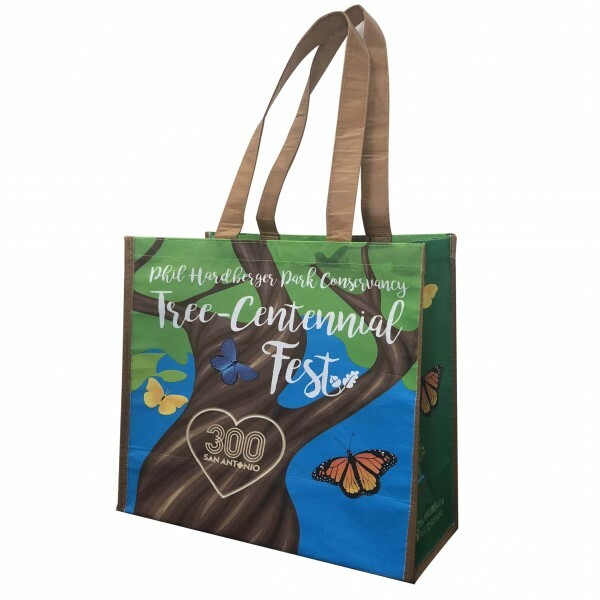 Custom Grocery Bags is the first company to offer dye-sublimated eco-friendly bags at reasonable cost to businesses large and small. 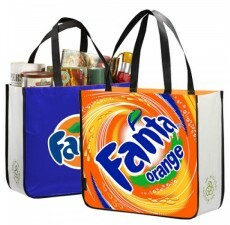 How do we do it? 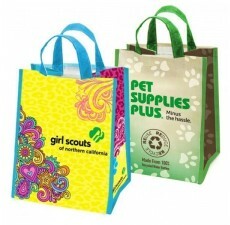 The Large Recycled PET Poly Bags uses a novel printing technique that avoids the cost of expensive plates and injects earth-friendly pigments directly into the recycled materials.